How do I send Loom videos to my team on Slack? 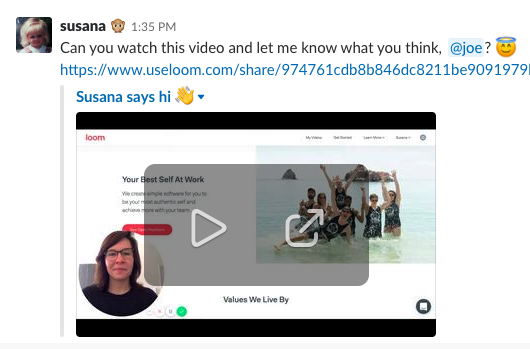 You can effortlessly share your Loom activity from your video library directly to Slack so that everyone on your team can watch your videos and participate in the discussion. You can share your video to multiple users, channels or a combination of both, with or without a personalized message. You can go to any of your Looms or your most recent recording to try it out. 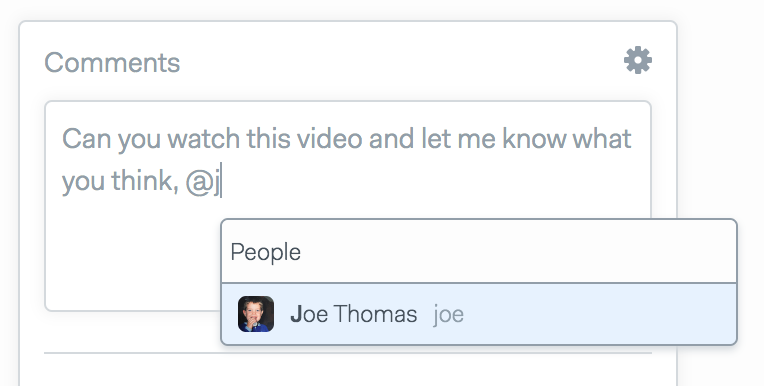 In the comment section, it is now possible to @mention someone on your Slack team so they are notified via Slack. Find out how to connect your Slack account to Loom.  How to invite your team members to Loom via Slack.